At International HealthCare Services, LLC, we believe that the best care is home care. Provide skilled nursing services, such as ventilator management, IV infusions and injections, wound care, medication administration, tracheostomy care, G tube care and management, etc. Long- and short-term nursing care provided for all medical issues that can be properly managed in home. Assistance with bathing, grooming, toileting, dressing and with feeding. Assistance with safely transferring and repositioning. Emotional support. Meal preparation, light household duties, engage in activities and converse, assist with daily errands, provide dependable respite care. Teach family members how to safely provide medical care for their loved ones when a healthcare professional is not scheduled. Provide a plan for what to do in case of an emergency. Work carefully with primary care providers and families to discuss the best options for care. This ensures that you or your family member will receive carefully planned, coordinated, and safe healthcare services. We currently accept Medicaid and Private Pay. At International HealthCare Services, LLC, our team strives to provide the highest quality care possible for every single patient. And we realize that as nurses, we treat the family, right there with the patient. 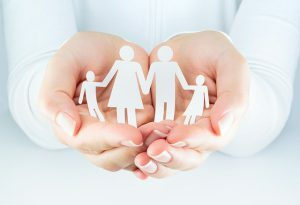 With a focus on educating the families to properly care for their loved ones, we consider you part of our family. We’re going to laugh with you, cry with you, and hold your hand as you walk through the challenging journey of recovering from illness or injury. Licensed as a Level 3 Home Care Company, we serve the Baltimore, Maryland area, including Baltimore City, Baltimore County, Anne Arundel County, Howard County, PG County, and Montgomery County.